What are our Most Popular 2016 Blogs? If you are interested in learning Spanish in Peru or Argentina, and you also enjoy reading about Spanish Learning Tips and about Peruvian or Argentine Culture, you might just LOVE this short list that includes our Most Popular 2016 Blogs. We have organizing the blogs in four sections. Spending Christmas in Peru during the Christmas holidays while learning Spanish in Cusco is a unique and unforgettable experience. 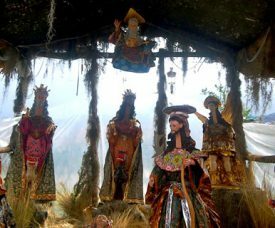 Are you curious to know what to do and how Christmas will be celebrated in Peru? There are various events and activities throughout Cusco during the Christmas season that will provide all travelers and our Spanish students in Peru with fun, cultural memories! 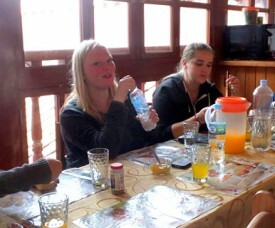 Living at the AMAUTA Student Residence in Cusco. The AMAUTA Student residence, located right in the heart of Cusco city, at a stones throw from the Plaza de Armas, is a great place to live and to explore the city. The Residence is located within the same building as the Spanish school. Could you possibly be closer to the location of your Spanish classes in Cusco? 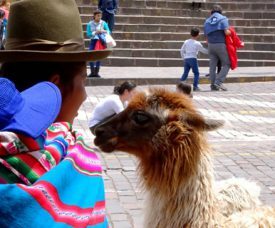 The time you safe traveling back and forward to your Spanish classes can be used to explore Cusco. In the students residence, you find single and shared rooms, most of them with shared bathroom facilities. There is a common room, a sunny courtyard, free WIFI and a balcony. If you are learning Spanish in Buenos Aires, make sure you program a day (or longer) for a visit to Uruguay. 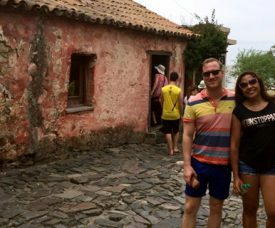 Especially Colonia del Sacramento, a charming colonial town, should be on top of your list. Colonia is located just an hour away by ferry from Buenos Aires. From here, you can take the bus to the Uruguayan capital city Montevideo, just three hours away.